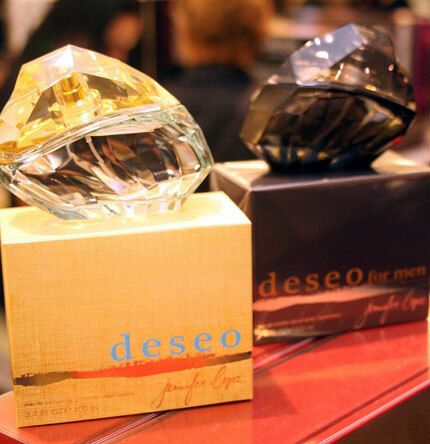 J Lo launched her new men’s fragrance, Deseo For Men. She is multitalented, but there’s something about her that screams she is grimacing. As if she’s not at Macy’s but in some hot action movie. Look at the “in heat” look she’s giving. Like that bottle of perfume is turning her on so much, she just can’t stand it. The lips slightly parted like as if she’s promoting them. It’s the second scent from J Lo, she made her fragrance debut in 2002 with Glow By J Lo Deseo For Men is created to accompany the female fragrance, and its woody scent features notes of yuzu, lemon, cedar leaf and tobacco leaves. Her husband Marc Anthony helped her out in creating the scent but J Lo is the boss. Latina sensation, who recently became the proud mother of twins Max and Emme with husband Marc Anthony, showed that she could still glam it up and heat it up in a flowing white Fendi gown and Yves Saint Laurent heels at Macy’s department store in Herald Square, Manhattan. More 2009 VMA news: Lady GaGa will perform! 2010 MTV EMA host – Eva Longoria!